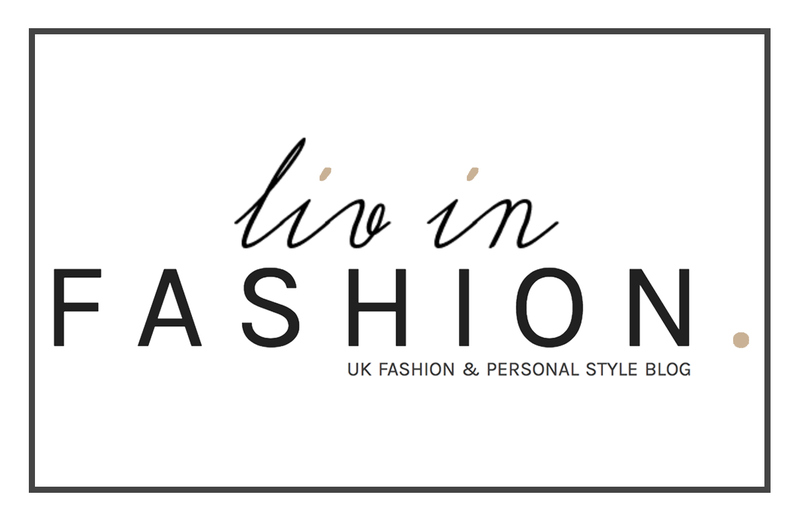 LAB 2 Make Up Brushes | liv in fashion. Yes, you're in the right place. No, you're not losing it...and I haven't lost it either (though some might say otherwise). Remember that little heart-to-heart I had with you the other month about change? Well, it's happening. I'm branching. And I have to say, I'm quite enjoying how this is going! This past weekend, I set myself a task to completely push aside my beloved Real Techniques range and fully replace them with the new set of brushes I was sent, to see how they fared. I used solely these for my entire face, except the brows (I didn't have an angled brush, so was relying on my trusty MAC 266 for that!). 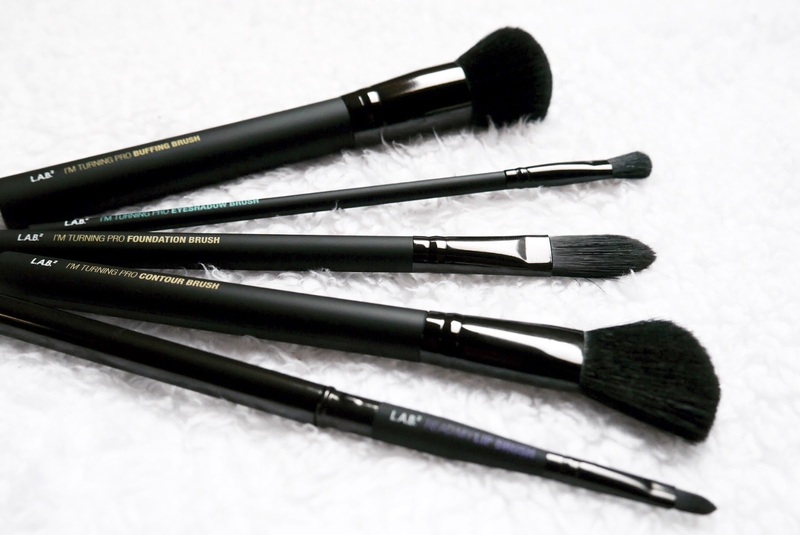 The challenge being that I was away from home for 4 nights - so if these L.A.B.2 brushes didn't do the job, it was resorting back to the good old days, where your hands were foundation's best friend and you had no hope of ever wearing white afterwards. Either that, or I'd have to do the dreaded and go bare-faced. In public. In London. Now that's faith if I ever knew it. I must admit, I've never been one to overly fuss over this type of thing (I much prefer to invest my time and money in clothing), so once I'd found a brand that could make me look somewhat presentable with a low-ish cost and little fuss, I pretty much left it at that. There comes a point though, 5 years down the line, when your handles are peeling off and you can no longer identify which brush is made for what, that it's probably about time for a change. All-black, matte exterior. Need I say more? This not only looks and feels extremely satisfying but also seems to avoid marks like no other. 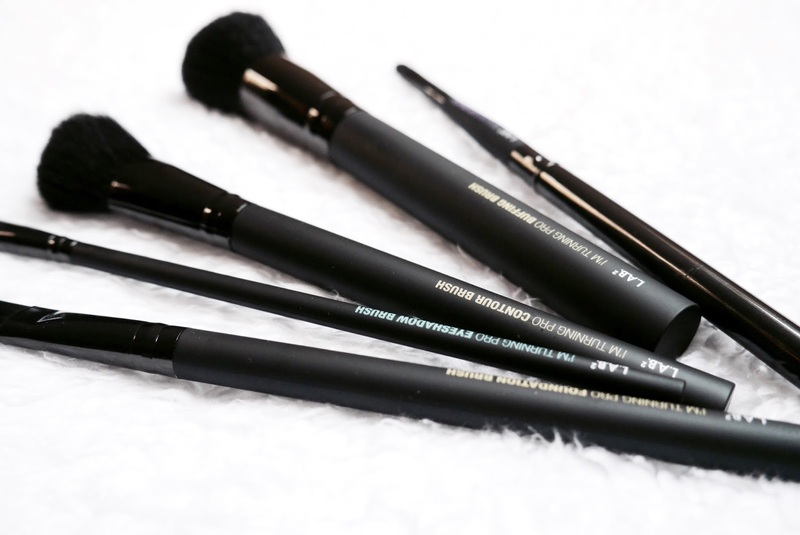 To put it simply, they still look unused and I can assure you, I have used the buffing and contour brushes to death - we'll get onto that in a second. There's nothing worse than pulling out a freshly washed make up brush (which we all admit we don't do often enough) to use only one time and then be left with a sad-looking, orange-stained sight all over again. Velvet-soft bristles. A good ten minutes after removing them from the packaging and stroking them up and down my face, I came to this conclusion. Pocket and purse friendly. It's always that dreaded thing of having to choose which brushes to sacrifice, and who gets to be the chosen one to come along on your night out. Thankfully, I found these the perfect, portable size. Not Girl-Talk freebie, 'are you sure this is for a real person?' size, but easy enough to pop a couple into your clutch bag for those ever-needed, shiny, toilet touch-ups. Which is more than I can say for my mile long 'Precision foundation' brush *cough cough* Sephora. 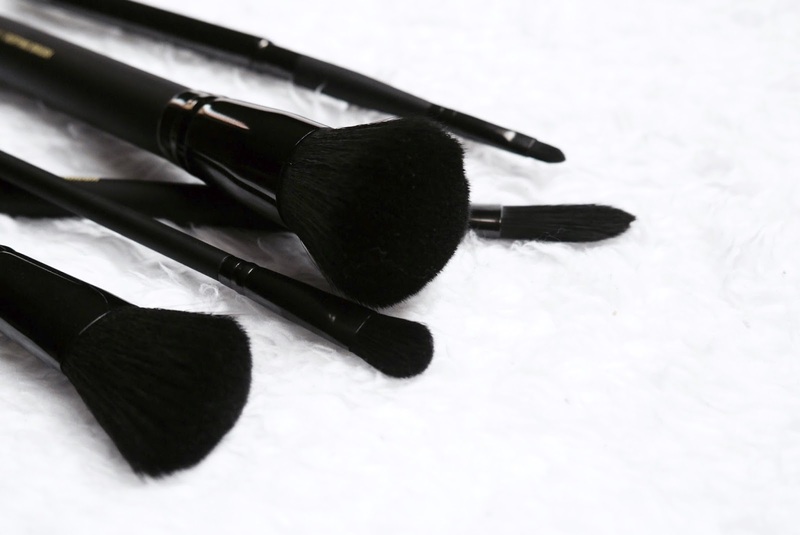 Favourite: Buffing brush, closely followed by the contour. 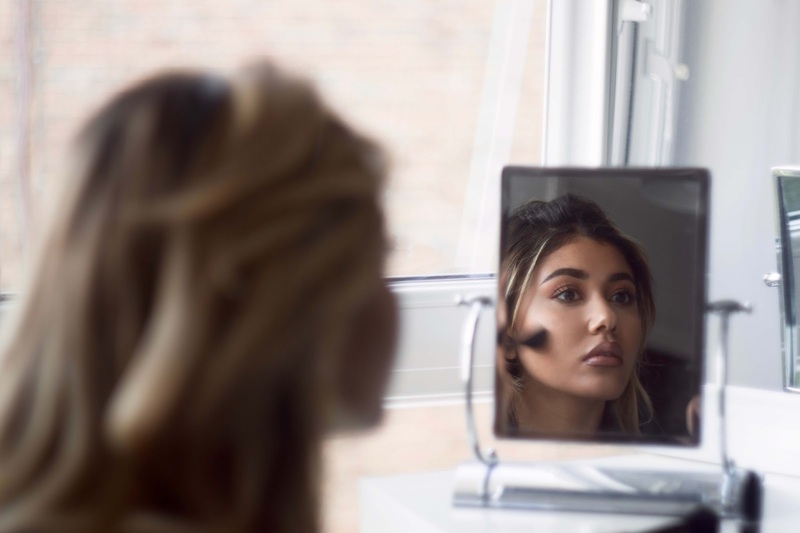 I'm a big fan of the Real Techniques Expert Face so that was pretty much a given but, for me, this applied less product, more naturally which is exactly what I look for, as I can build it up to however I see fit. It's super dense and undeniably soft, which can sometimes be a worry with buffing. I've often heard people likening the process (this is mainly from men by the way - I watch a lot of Youtube) to "lots of little punches in the face". Less loved: Foundation brush. I've never gotten on well with these and have always just gone straight in from application to buffing with the same brush. This would be more suited to those who like a thicker coverage, but I found it too flimsy to easily apply my usual amount, so came out looking a little streaky. 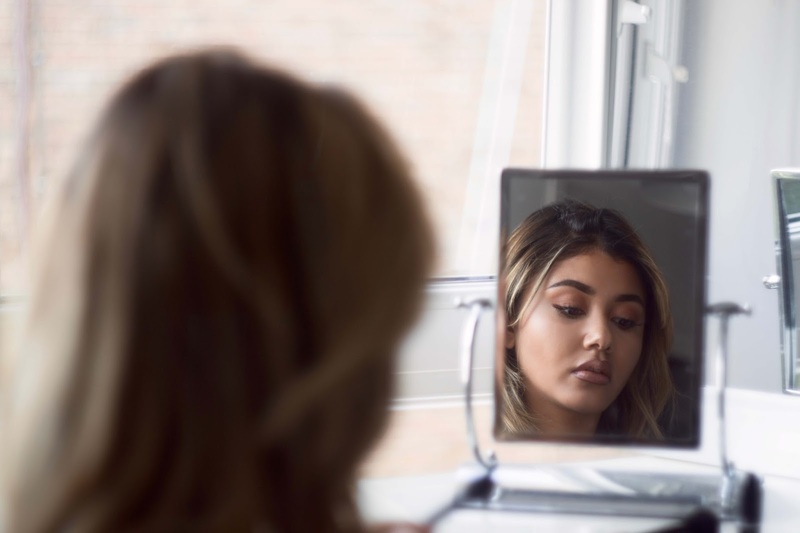 Being narrow, it seemed to work better for under-eye concealer and was able to pack on the product precisely where I needed it most. Forever haunted by those bloomin' dark circles. Extras: The lip brush comes with a metal cap, to avoid any hair-and-dust-in-sticky-product scenarios. It also doubles up as an extendable handle and you all know how I feel about versatility!